Secretary Shirley DeLucia was just doing her job when she saw Jiverly Wong walk through the door of the American Civic Association in Binghamton, New York, on Friday. “Hello,” she said. “Can I help you” Wong, a 41-year-old who had taken English classes at the New York immigration services center, pointed a gun at DeLucia and pulled the trigger. The bullet tore through her abdomen, and she hit the ground. Wong fired again, this time taking out a woman who worked with DeLucia. “Shirley didn’t know. 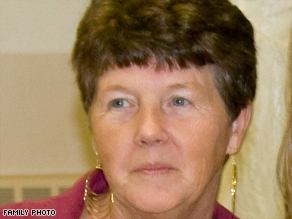 … She thought the woman was dead,” DeLucia’s brother Lyle Fassett said. “When Wong came back, walked over to her, my sister closed her eyes and played dead.” Wong charged through the rest of the building, shooting to death 13 people, most of his victims immigrants trying to improve their lot in their adopted country. The secretary dialed 911, a call that first notified authorities of what is being called the nation’s worst mass shooting since a Virginia Tech college student killed 32 people in spring 2007. “She rolled her eyes when I told her that people were calling her a hero,” Fassett said, describing his sister as practical and firm, a woman whose natural strength was fortified by the loss of her husband to cancer three years ago. Survival is hardwired into DeLucia, like everyone touched by Friday’s shooting. Those killed at the center, which has provided services from English lessons to naturalization tutoring to immigrants for decades, come from all parts of the world. Two from China, one from Vietnam and another from Brazil. There was a husband and wife from Haiti. Two Muslim victims, a woman from Pakistan and another from Iraq, were buried together after a ceremony that drew hundreds of mourners at a mosque in Binghamton. It’s a community known among immigrants as a place of refuge, a place where many seeking the American dream landed randomly but were embraced fully. “I have many cries,” Imam Kasim Kopuz said. He and his wife learned English at the American Civic Association after arriving in the United States. “The association was for us a door to America, but that door, to sister Layla and sister Parveen, was shut to them.” Layla Khalil, a 51-year-old who was a librarian in Iraq, had escaped the war and moved to Binghamton six months ago. Her daughter was studying English as a Fulbright Scholar, and her husband was taking English classes with her at the center. “The situation in Iraq is dangerous, everywhere dangerous,” her 17-year-old son, Mustafa, said at his mother’s funeral Sunday. “But we came here, and we hoped we’ll get better lives.” “I’m 17 years old. I lose my love, my mother, emotion,” he said. “I wish that anyone doesn’t lose that.” Although Parveen Ali’s English skills were very good, the 26-year-old mother from Pakistan was sitting in an English class at the center Friday, hoping to improve her writing in the language. “She was one of three children, and she was one [of] the most hardworking in that family,” Kopuz said. “She was feeling the responsibility [to] take care of [her] mother and grandmother. She was more like a person [who] feels that ‘all the family is on my shoulders.’ ” Her brother Nader Ali said the family arrived in the United States in 2001. His sister became a U.S. citizen and a teacher, so she continued to go to the civic association to improve her language skills. “She was like a parent. She was like a friend. She was a teacher. She was a facilitator who always pushed me to go through school, to go through college,” he said. For every immigrant who struggles, it seems there is an American willing to help them along. Roberta King — Bobbie, as she was known to her students at the Civic Association — loved to listen to her students tell their stories. She made sure her own 10 children and 17 grandchildren understood that they lived among people who were not born into the freedoms Americans enjoy. “She would often tell us about how they had two or three jobs and would send money home,” her daughter Georgia Learner said. “She was really impressed with what people were doing.” Among King’s joys was a huge collection of dolls dressed in cultural garb, which she used to teach. “When you learned where a doll came from, you were learning about history,” her daughter Rosemarie Levy said. The King family had intended to gather for Passover at their Binghamton home. Instead they are gathering Monday for a funeral.